...And as always, for those new to the blog, my Best Of posts are where I pick a few favourite examples of my own of a topic from the genre, before asking you your own picks in the comments below. This time, the frequent villains of the piece: necromancers. She's been one of my favourite authors for a while - in fact, ever since the beginning of A Madness of Angels, which has one of the most engaging openings I've read (but I've ranted about that plenty elsewhere, so let's move swiftly on!) - but her brilliantly creepy necromancers, while a minor part of the series so far, definitely make my list. Combining part of the golem legend with the typical resurrection, in an attempt to preserve themselves, they eventually swallow paper upon which they write the aspirations and qualities they wish to retain in their new undead life - which they then choke on. Their dying breath empowers the paper, and they return. It's mostly the determination which is terrifying here, but it's an original combination - and as with all my favourite magic systems, has a suitably high price. 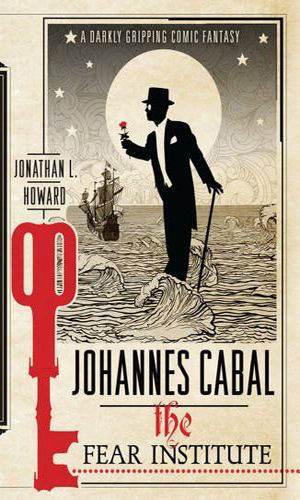 Sarcastic, cold, and very occasionally possessed of a redeeming quality (maybe), the Johannes Cabal series' titular necromancer is scientifically minded and frustrated with the vagaries of necromancy. After making a Faustian deal for said powers, he decides that the magical effects of - well, not having a soul - make experimentation difficult: so he sets out to win it back. Okay, so he's a little bit of a terrible person. Nevertheless, as a character, he's wonderful: amoral, ruthless, and so pragmatic - with a few hints of humanity - that you can't help but root for him. Plus, taking shortcuts through wordy magicians with the help of a ridiculously bulky gun is the kind of genre-parodying fun which is so enjoyable in the Cabal series. There are some necromancers in Dragaera - most notably the Necromancer, who as godlike demons go, seems rather friendly - but these aren't who I'm talking about today. No, I find the pure resurrection system of the novels interesting. Revivification isn't cheap, but it is available. And the consequences on Dragaeran society are extreme: in one novel, Vlad even mentions assassination being used as a warning. And this has meant modern-style consequences for murder (that said, their society is rather more bloodthirsty than our own as a baseline) have been elevated to the more permanent deaths. Damaging the brain beyond repair, for example, or worse, killing with a soul-devouring Morganti weapon (as reincarnation is pretty much a fact). It's seeing the integration of high magic levels into a fictional society, and its consequences, which makes worldbuilding interesting - and something that sadly, many novels miss out on. 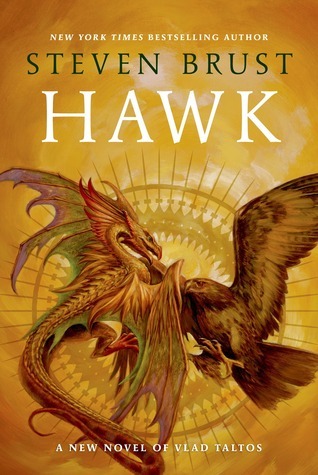 Much as I like certain Erikson books... well, much as I like Memories of Ice, magic seems to be relegated to war and not much else - and nobody is prepared for the frequency of character resurrections that occur throughout the series. So these are mine - what about yours? Feel free to leave your choices in the comments below!